June holidays are over and my kids are dragging their feet back to the normal school routine, you know right? One month of holiday just passed by like wind. 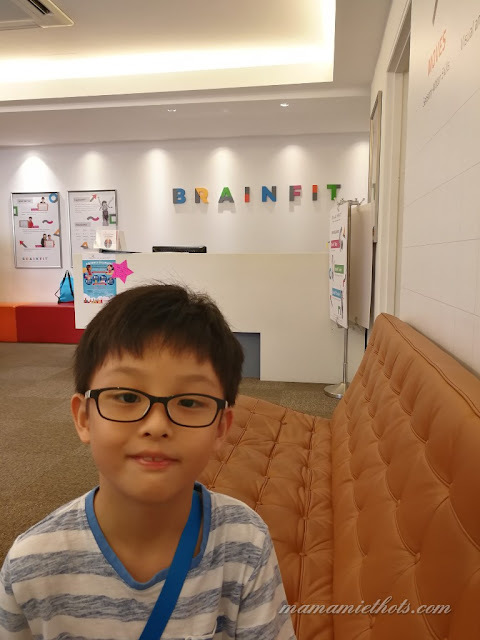 Just when I thought I would let Junior YS "nuah" (relax) at home during the June break, the kind folks from Cognitive Whizz decided to let him try out their 4-day June Holiday Program held at BrainFit Studio – “A Science Escapade!”. 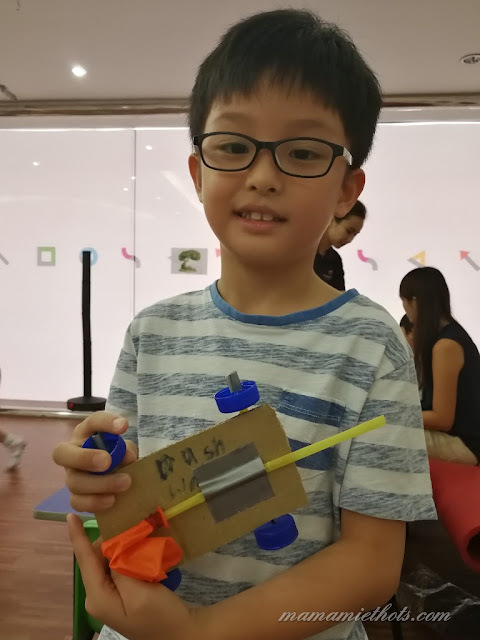 After the workshop, he still shares about how enjoyable and fun the program was and is looking forward to the next round of Science Escapade during the next holiday! I can't wait to share with you what he has learnt. 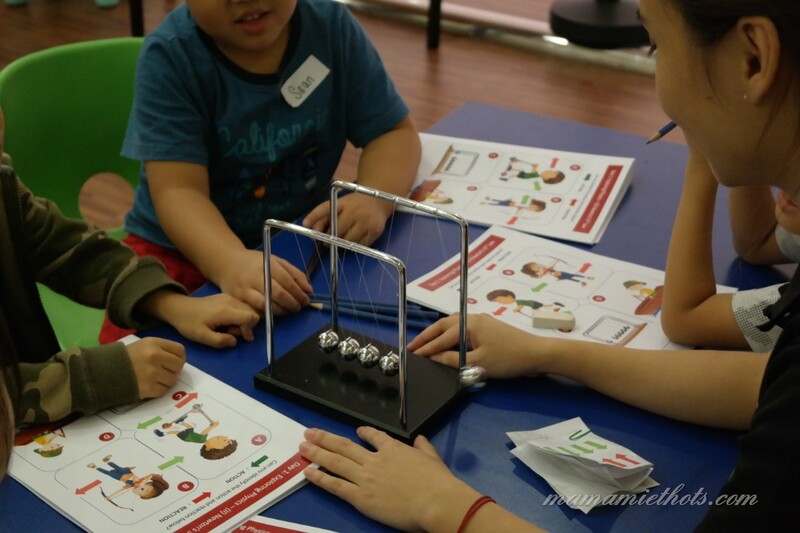 During the 4-day workshop, children aged 4-7 years were exposed to Physics and Chemistry concepts. The lessons were conducted in a very engaging manner. 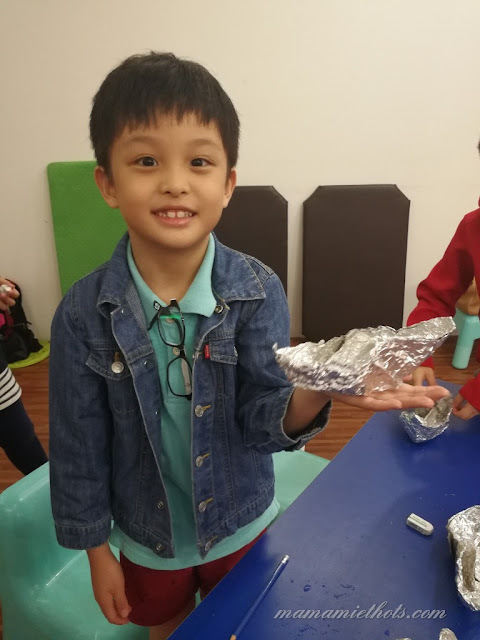 Children had fun exploring and applying the Science concepts through storytelling, role-playing and hands-on experiments. Personally, I feel that children learn faster through such interactive and creative play. 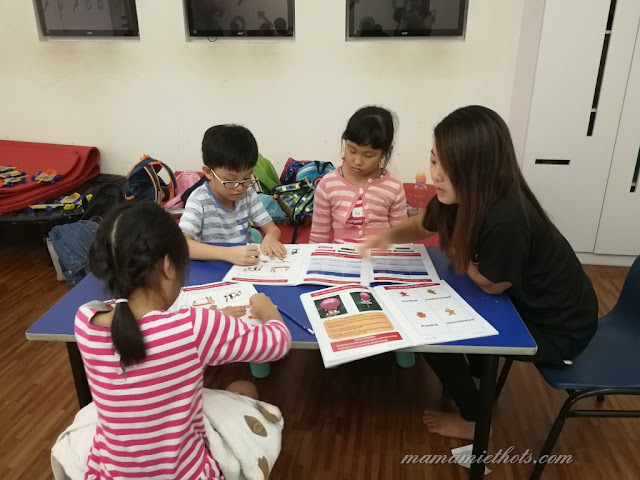 There was adequate assistance provided as one assistant teacher was paired with a group of four to five children, to facilitate discussions and guide the children’s thought processes. Every day, at the end of the workshop, Denise (the founder) will invite all parents for a short briefing to share key highlights of the program. This encompasses the experiments conducted, key Science principles behind, and their real-life applications. Parents were also updated daily through WhatsApp messaging to recap on what their children have learnt for the day. Useful tips on how parents can reinforce the Science concepts with their children at home would also be shared. Overall, I feel that it is useful in allowing parents to understand what their children have learnt, to further enhance their learnings at home. Cognitive Whizz seeks to instil in every child a passion for lifelong learning, to unleash his / her infinite potential. It believes in partnering with parents and educators, to engage young children in whole-brain stimulation, through holistic joyful learning. Science Escapade is hence launched to stimulate young inquisitive minds through purposeful play and multisensory, hands-on experiments. Harnessing children’s innate curiosity, an inquiry-based learning approach is used. This helps children challenge status quo, and develop their critical thinking and problem-solving skills. Children are also encouraged to link observations with real-world occurrences. This helps them apply and appreciate Science in their daily lives. • developing their problem-solving skills, benefitting them for years to come. Many children have benefitted greatly from the Science Escapade, and the educational resources she has developed and acquired by schools, enrichment centres and parents. Junior YS getting all hyped up before the workshop started. Each child was given a colourful, fun, Science booklet, which piques his / her interest, and helps reinforce the learning. Assistant teachers were paired with a group of 4 - 5 children to facilitate discussions and guide the children’s thought processes. Through fun and purposeful play, children gained a better understanding of Newton’s Law of Motion. Children learnt to correlate contact area with friction. Pretending to slither like snakes, children discovered they were hindered by friction, slowing them down! 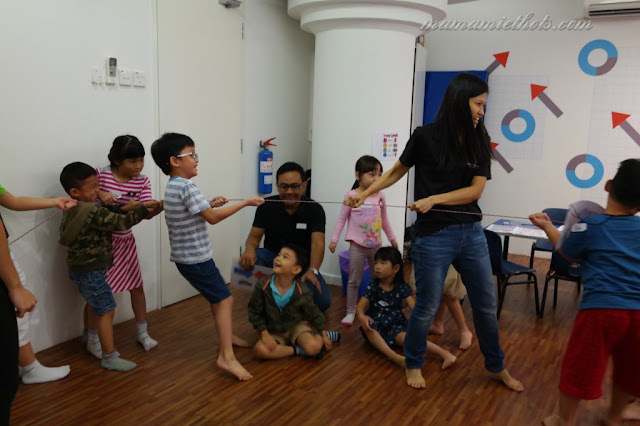 Children had great fun playing tug-of-war, another concrete way to reinforce their understanding that friction is always acting in the opposite direction, slowing down movement. Children folded a large aluminium boat, and put the concept of density to test! Using recycled materials and household items, children built a balloon-powered racer! Racers’ race – Children applied the concepts of Potential and Kinetic energy to power up their racers! 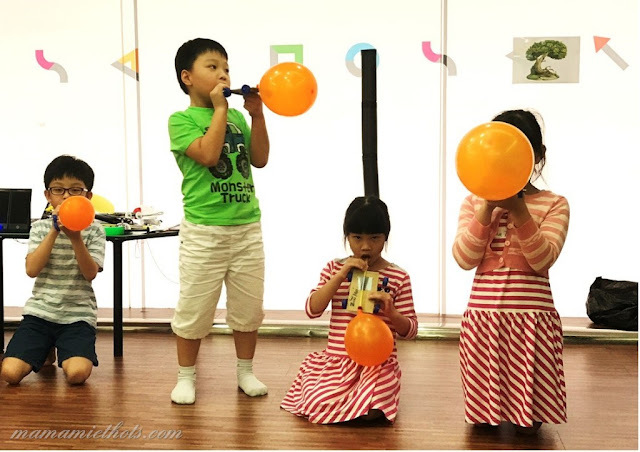 The program ended on a high note, as children made music with bottles! 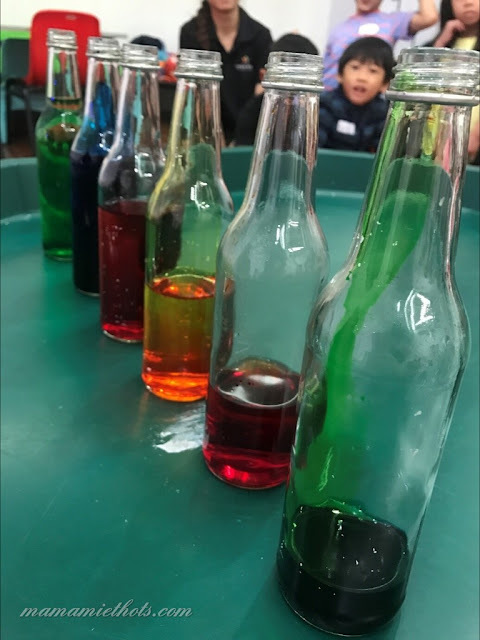 Applying the concept of how different amounts of water correlated with different pitches, children were thrilled playing “Doe a Deer” with the bottles! 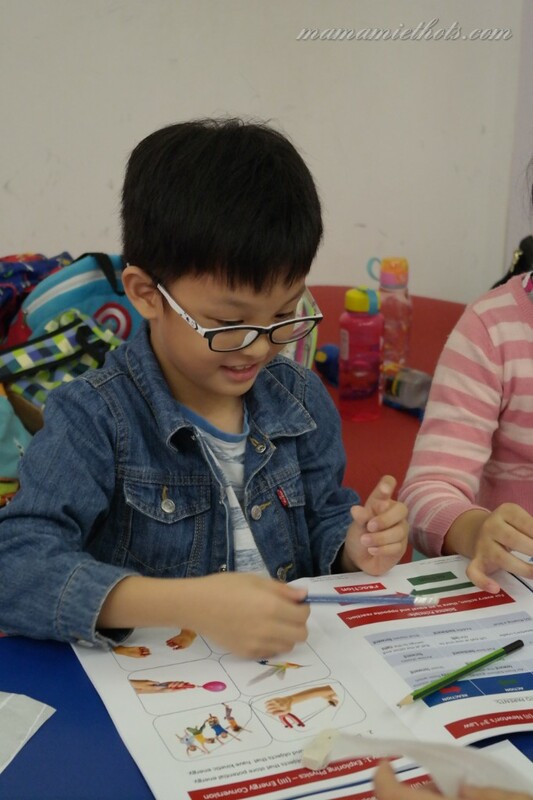 Disclaimer: Junior YS was sponsored to attend the June holiday workshop conducted by Cognitive Whizz. No monetary was compensated, all opinions are our own.